Before we get too deeply into the many A-town options calling your name tonight, please note this early, kid-friendly event happening with DJ Zephyr and The Lost Luvs at the Arcata Playhouse. Things get going at 6:30 p.m. and the $5 adults/$3 kids 12-and-up cover goes to help the Coastal Grove fifth grade class pay for a trip to Mount Lassen in the fall. Beer, wine and treats, too! Kids under 12 are free. 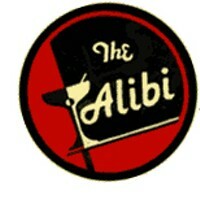 The Alibi remains one of my favorite places to experience a show. Sure, it's not an ideal design for either sound or vision, but there's something so pure about seeing shows there — sharing love for rock music in dark corners, maybe, or the ability to get up close and personal with the band as the sound envelops you. "I could tell you all kinds of crap about how good I am, but that just seems lame to me. Truth is, I absolutely love music, which drives me to work very hard at making great songs and putting on a fun live show! Take a listen... decide for yourself. If you really like it, tell a friend for me!" Consider yourself told, friend. Music starts around 11 p.m., cover is $5, the show is 21-and-over and Humboldt's own cowpunks The Hill open. Prime yourself for the late show by stopping into BigFish Vapor Lab (yes, this is a thing) at 9 p.m. to see High Crimes. The joint's an 18-and-over one. In other options, you've honky-tonk and bluegrass melding into what's sure to be a helluva good time at the Jambalaya. Yes, the much beloved (and rightly so) Rooster McClintock joins forces with The No Good Redwood Ramblers for a night of fun the likes of which is rarely seen. Cover is $5, show starts 9 p.m.-ish and you must be 21-or-over. Or you could drop a well-worth-it $20 to experience the March Fourth Marching Band, an act combining electric bass, a five-piece percussion corps, a six-part brass section, stilt-walkers, dancers, acrobatics and an exceedingly diverse repertoire to the mix. The magic happens at Humboldt Brews and begins at 9:30 p.m. Please be 21-or-over. Meanwhile, Jambalaya owner Pete Ciotti, DJ Rickshaw and B. Swizlo will be taking their band The Getdown across the way to join The Headhunters at the Arcata Theatre Lounge. This is serious funk. Doors at 9 p.m., cost is $22, $18 advance and the gig is 21-and-over.